Tiny Bookworms is our toddler storytime for kids under age 3, featuring books and songs with Cheryl Mallory. This session's events will happen Tuesdays from April 23 through May 28. When you register for one date, you are all set for the entire session and can come to any or all of the others for this session without registering again. Our Tuesday Storytime for kids ages 3 to 5 - come for great books, puppets, and crafts! Storytimes for this session will happen Tuesdays from April 23 through May 28. When you register for one date, you are all set for the entire session, and can come to any or all of the other Tuesdays for this session without registering again. Our pick this month is Elephant Company: The Inspiring Story of an Unlikely Hero and the Animals Who Helped Him Save Lives in World War II by Vicki Croke. Our Wednesday Storytime for kids ages 3 to 5 - come for great books, puppets, and crafts! Storytimes for this session will happen each Wednesday from April 24 through May 29. When you register for one date, you are all set for the entire session, and can come to any or all of the other Wednesdays for this session without registering again. Kids in grades 3 through 6 are invited to build and play games with special wooden blocks known as Keva Planks. Use your imagination to create 3D sculptures, or play a stacking game, ping pong challenge, speed building challenge, or sculptionary. Bring your friends and be ready to have some creative fun! Presented by Dr. Joyce Rains. Brought to you with Federal funds provided by the Institute of Museum and Library Services and administered by the Massachusetts Board of Library Commissioners. You may sign up for this event on or after April 4 . "No Irish Need Apply" is a 90-minute slide lecture in which the many facets of the early Irish experience in Boston are examined. The lecture begins with the story of the Irish who were brought over unwillingly as indentured servants in the mid-17th Century. Then the first real migration of the Irish in 1718 - the arrival of the Scot-Irish or the "Ulster Irish" will be discussed. Next, we will explore the slow pre-famine trickle (1820's) of Irish Catholic immigrants coming into Boston as well as the corresponding increase in Anti-Irish/Catholic sentiment within Boston beginning with the notorious Pope's Day celebrations and then the discussion will turn to the burning of the Ursuline Convent in 1834 in Charlestown and the Broad Street Riot of 1837. In the third quarter of the lecture, the massive wave of immigration into Boston after the "Great Potato Famine" will be examined; with respect to the condition of the new arrivals, the neighborhoods they settled, how they banded together, the kinds of work they did to survive and their eventual assimilation into American culture. Finally, there will be a discussion of the rise of the Irish within the sphere of Boston politics and the emergence of the "Ward Boss". Additionally, short vignettes will be given on famous Irish political leaders such as Patrick Collins, Hugh O'Brien, Martin Lomasney, Patrick J. Kennedy, John "Honey Fitz" Fitzgerald, and of course, the old "Rascal King" himself James Michael Curley. NEW GROUP: Knitters, Crocheters, and other Needle Workers join us for creativity and conversation! For your convenience, we will be meeting once a month in the evening and once in the morning. Please note that this is not a class; it's a time to work together on our projects. Storytime for kids with Liz Jones, featuring books, crafts, and... donuts! No need to sign up in advance, just drop in! Do you have children under the age of 5? Do you want to meet other parents in Topsfield and Boxford? Monday Drop-in Playgroup is a great way to meet families with children, and also to socialize with other local parents. We meet at the Boxford Town Library, in Meeting Room One, on the first Monday of the month from 10:30-11:30 am. This playgroup is a collaboration of the Boxford Town Library and the Topsfield-Boxford Newcomers and Natives. The North Shore Amateur Astronomy Club ( htttp://nsaac.org ) will set up telescopes behind the Library for this special "star party" sky viewing for kids in grade 4 and up! Because this event calls for clear skies, our backup date is Thursday May 9 at the same hour. (When you register, please provide an email address so that we may keep you updated.) Brought to you with Federal funds provided by the Institute of Museum and Library Services and administered by the Massachusetts Board of Library Commissioners. Join us for the Friends meeting and share your thoughts and ideas for helping the library to connect with the community. We are an all-volunteer group passionate about the library and community programs. Always looking for help with creative, fundraising, children's program liaison, and school reading program support, Boxford Celebrates Reading, and more. Stop by and learn more about the Friends and upcoming events for the Boxford Library! Join us for a special collaboration with the Reading Public Library. Peter Carcia and Tom Mottl of Reading Neighbors Network, a grassroots group of seniors dedicated to help each other live independently, provide an overview of the Village Model. Leave this session with facts, figures, and resources which may help you and your loved ones age in community. Through the generosity of the Reading Library and the Reading Neighbors Network, Boxford patrons will have the opportunity to participate remotely in this session and ask questions. The Ecotarium presents this special event for kids in grades 3-5. How can you design an efficient wind turbine that converts wind energy into electricity? Build a working wind turbine, measure its performance, and learn firsthand how the design process can create better outcomes! You may sign up for this event on or after April 24. Brought to you with Federal funds provided by the Institute of Museum and Library Services and administered by the Mass. Board of Library Commissioners. Join us for our May meeting of the Cookbook Club! Our pick this month is Cook Like a Pro: Recipes & Tips for Home Cooks by Ina Garten. "As America's most trusted and beloved cookbook author, Ina Garten--the Barefoot Contessa--has taught millions of people how to cook. A home cook at heart, Ina knows that cooking and entertaining can be difficult, so to make her recipes simple and streamlined, she tests and retests each recipe until it's as straightforward and delicious as possible. Although Ina is completely self-taught and doesn't consider herself to be a "professional" cook, she has spent decades working with chefs and learning the techniques that take their cooking to the next level. In Cook Like a Pro, Ina shares some of her most irresistible recipes and very best "pro tips," from the secret to making her custardy, slow-cooked Truffled Scrambled Eggs to the key to the crispiest and juiciest Fried Chicken Sandwiches. Ina will even show you how to make an easy yet showstopping pattern for her Chocolate Chevron Cake--your friends won't believe you decorated it yourself! .... Beginner and advanced cooks alike will love Ina's delectable recipes, and if you have questions along the way, don't worry--Ina's practical cooking advice talks you through every detail, as though she were right there by your side. With beautiful photos and a treasury of pro tips that span prepping, making, and serving, as Ina says, "You don't have to be a pro to cook like one!" Everyone is welcome; please register online or by calling 978-887-7323. Copies of the book will be available one month prior to our meeting; once your have chosen your recipe please let us know so that we can post it and avoid duplications. Supported by the Friends of the Boxford Library. Welcome to the Wednesday Evening Book Discussion! No registration is necessary and everyone is welcome. Copies of the book to be discussed will be available at the Circulation Desk one month before our meeting. 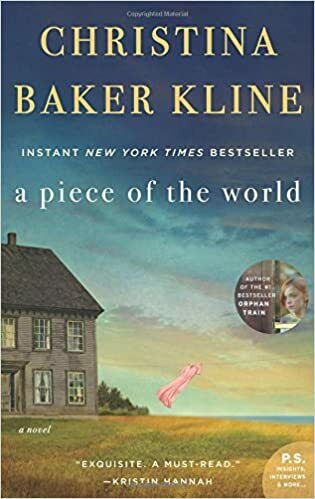 Our selection this month is A Piece of the World by Christina Baker Kline. Join musical group Too Human for a concert in Lincoln Hall! This program is supported in part by a grant from the Boxford Cultural Council, a local agency which is supported by the Massachusetts Cultural Council, a state agency. Come and build with us at our free Lego event for kids in grades K and up... We provide a variety of Legos and a theme to build around, and you do the fun building! We will display your creations in the Library for a whole week. Our May theme is: Airport! Space is limited. You may register for this event on or after May 3. Our selection this month is Hillbilly Elegy: A Memoir of a Family and Culture in Crisis by JD Vance. Kids in grades 3 through 6 are invited to this special workshop with Dr. Joyce Rains. How can you drop and egg from the ceiling and not have it break? Put your creativity and design skills to the test! All meterials provided. Brought to you with Federal funds provided by the Institute of Museum and Library Services and administered by the Massachusetts Board of Library Commissioners. You may sign up for this event on or after May 9. Join Kristine Malpica and Meg Rayne on a visual and musical odyssey along The Way today, a 500-mile pilgrimage across France and Spain, attracting thousands of international travelers each year. This fun, informative armchair pilgrim adventure features original, live music, travel tales, tips, and more! Come explore the historical legacy and contemporary cultural heritage of one of Europe's oldest and most significant pilgrimages, designated as an UNESCO World Heritage Route and the First European Cultural Itinerary. This program is supported in part by a grant from the Boxford Cultural Council, a local agency, which is supported by the Mass Cultural Council, a state agency. Kids ages 5 and under (and their caregivers!) are invited to join yoga instructor Tracy Keen for "Little Yoga." This lively form of yoga involves child-friendly games, poses, stories, songs, and mini relaxation. It helps little ones build on their sensory, fine, and gross motor skills. Wednesdays May 6 through June 10. Join author Alison O'Leary for Hidden Gems of New England. Based on her book Inns and Adventures, this fun, humor-filled travelogue intersperses historic information with outdoors activities like hiking and peeks inside local inns throughout New Hampshire, Vermont, and the Berkshires. Great inspiration for weekend trip planning! What do you get when you cross a book group with a cookbook? A cookbook club, of course! We will be ending our meetings before the summer break with a look at the popular and healthy Whole30 cookbooks. The Whole30 program is built around lean proteins, vegetables and fruits, and healthy fats. Sugar, alcohol, grains, and dairy are eliminated. You must call or register online to participate. Cookbooks will be ready one month before the meeting. Please let Beth know what recipe you will be bringing. Supported by the Friends of the Library. Welcome to the Wednesday Evening Book Discussion! No registration is necessary and everyone is welcome. This is our last meeting before we take a a break over the summer. Copies of the book to be discussed will be available at the Circulation Desk one month before our meeting. 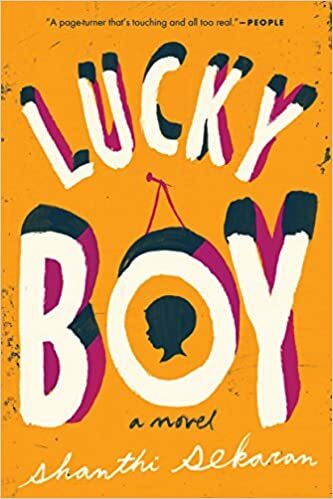 Our selection this month is Lucky Boy by Shanthi Sekaran. Based on extensive primary source research, In the Shadow of Salem: The Andover Witch Hunt of 1692, by historian and archivist Richard Hite, tells for the first time the fascinating story of this long overlooked phase of the largest witch hunt in American history. Untangling a net of rivalries and ties between families and neighbors, the author explains the actions of the accusers, the reactions of the accused, and their ultimate fates. In the process, he shows how the Andover arrests prompted a large segment of the town’s population to openly oppose the entire witch hunt and how their actions played a crucial role in finally bringing the 1692 witchcraft crisis to a close. RICHARD HITE is State Records Coordinator at the Rhode Island State Archives and Public Records Administration. He has a B.A. in history and political science from the University of North Carolina at Chapel Hill, an M.A. in Archival Management from North Carolina State University, and an M.A. in history from Kent State University. He is author of An Ordinary Soldier: Christopher Hite of Bedford, Pennsylvania and the Continental Army and Sustainable Genealogy: Separating Fact from Fiction in Family Legends. He lives in Providence, Rhode Island. Learn the basics of Medicare and receive answers to all your questions about the "Medicare maze." Get a better understanding of what's covered, how and when to enroll, how to apply, how to choose a plan, the differences between Parts A, B. and D, and more. Led by Gerald Lodge, a Community Development expert with Tufts Health. Lodge has spent over 30 years working in the Medicare Health Plan Industry, including the last 20 years of those with Tufts. He has educated thousands of people each year on the complexities of Medicare, and helps them understand the Health plan options available. Please note this presentation is on Medicare, not Tufts Health plans, and no sales materials will be handed out. Join Betsy Perry and Shannon Duffy from the Sutton Public Library to learn about Bullet Journaling! It's an amazing system that keeps a record of everything you could ever want to toss at it. It can be your task manager, sketchbook, journal, idea catcher, and much more. Learn how it can help you lead a more meaningful and productive life! This program is geared toward teens and adults. All supplies will be provided and you will leave with a beatiful journal and new passion! Registration is limited to 20. You must register. Do you love to travel, enjoy learning new things, explore interesting places, and like to meet people who share a love of adventure? Come and learn about Road Scholar, America’s first and the world’s largest educational travel organization for adults. We offer more than 5,500 programs in all 50 states and 150 countries worldwide. Donna Brock is a member of the Road Scholar volunteer speakers' bureau, the Ambassador Program. She is a seasoned Road Scholar participant who volunteers her time to give informative and enthusiastic presentations about the educational travel adventures available through Road Scholar.